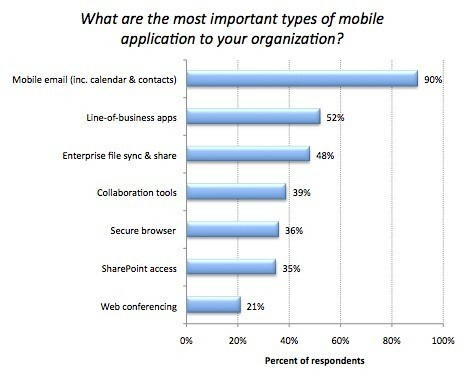 Many organizations view enterprise mobile applications as an extended and handy version of desktop computing. And because they tend to approach the evolving mobile ecosystem more opportunistically than strategically, many enterprises focus first on incorporating sales-related capabilities into their mobile apps. But enterprise mobile applications are much more than that. The real purpose of enterprise mobile apps is to help employees’ complete tasks quickly, accurately, and more efficiently. Mobile enterprise applications are used today to simplify various business processes & increase productivity. The focus of enterprise mobility apps should be on the elimination of ordeals and simplification of processes. Many enterprises mobile app development companies are constantly educating the masses on the strategic importance of mobile applications and sooner or later, both consumers and enterprise users would start making use of mobile applications to achieve higher goals. 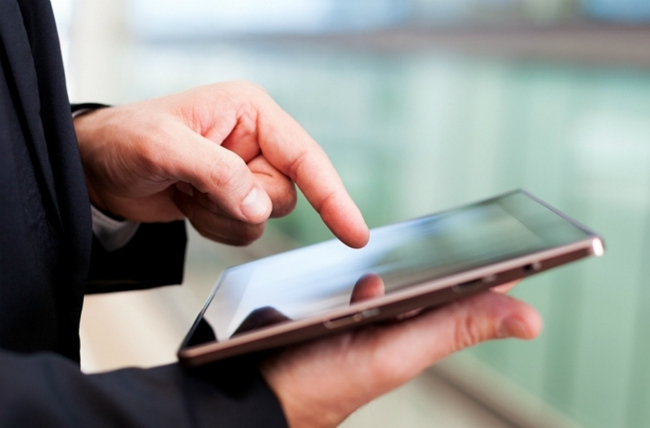 Enterprise mobility is no longer solely about deploying mobile devices to employees. Instead, it’s about developing a mobile strategy across all facets of your business that simplifies the way work gets done. The convergence of powerful handheld devices and increasingly flexible environments is creating both opportunities and challenges to connect with customers and increase employee productivity. Last year, Citrix surveyed 733 customers across North America, Europe, APAC, Latin America and Africa. Despite the widespread inflow of ‘BYOD’ tablets and smartphones into enterprises in recent years, it was observed that Windows applications — mostly deployed on desktops and laptops — still dominate the enterprise adoption, accounting for 64% of the app population in 2013. This is predicted to drop to 54% in 2014, with 10% difference expected to be made up by almost equal increase in mobile, HTML5/web and SaaS apps. Even though mobile devices and desktops are key computing tools today, they exhibit vast differences in terms of their applicability. Mobile devices are more personal, always active and always with the user, and they can detect location, movement, acceleration, orientation, proximity, and much more. Enterprise mobile applications follow a multi-modal approach and can get various data/information inputs like gestures, camera, voice, movements, and more. It’s no surprise to discover that email (plus calendar & contacts) dominates the list of important mobile apps as per the survey. Next up are enterprise categories such as line-of-business apps, enterprise file sync and share and collaboration tools. Customized Enterprise mobile apps such as Line-of-Business apps can be developed for businesses across various industries. These apps fulfill specific needs of the organization’s business processes. They provide better collaboration; increase productivity and aid in marketing the products and services offered by the business. Enterprise mobile apps developed today are more utilitarian and focus on simplification of business processes. An entire Mobile Enterprise Application Platform (MEAP) infrastructure is created to deploy these mobile enterprise apps securely to the employees. You can even have the developer do a backend integration of these enterprise mobile apps with legacy systems using middleware available in the market. Enterprise mobile apps certainly call for more investment than a typical consumer mobile app. The reason being that enterprise-grade apps are developed with more robust security features, such as stringent user access control, strong encryption/decryption and MDM software to protect the confidential enterprise data from leakage. Not only that, but the apps are more utilitarian-focused i.e. trying to help tasks done faster and more efficiently with workflows built-in. 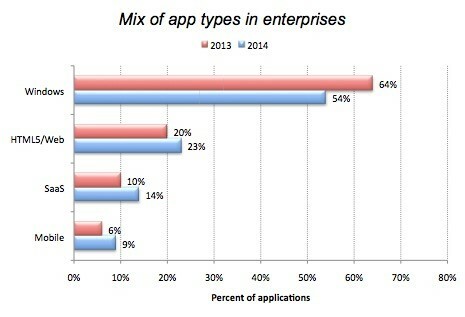 Enterprise mobile apps are here to stay. Companies will continue investing in them as long as there is verifiable ROI for the investments made, whether in terms of better collaboration, faster execution or more real-time availability of data. Not only that, but entirely new workflows and way of working are sure to come out of a well thought Enterprise Mobility strategy which differs from the strategy of most Consumer Mobile apps. Enterprise mobile app developers at Rishabh Software understand this difference better than most. Our developers have built experience over multiple industries to deliver enterprise mobile solutions across iOS and Android platforms using both native and cross-platform tools. 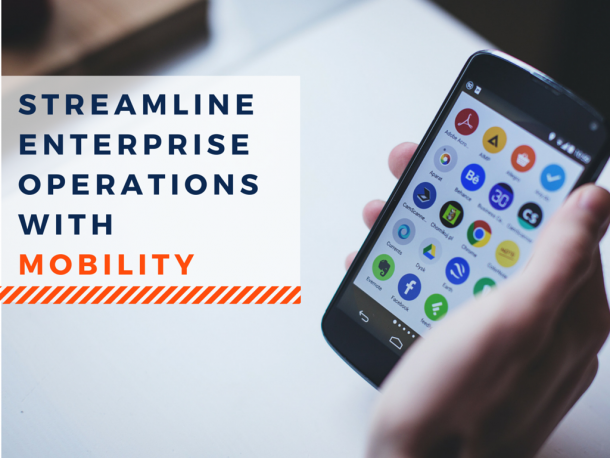 Call us at 1-877-RISHABH (1-877-747-4224) or Contact us now to know more on how an enterprise mobile app for your business can enable your employees to take smarter, faster and critical decisions on the move by accessing your secure enterprise data.